I’ve run conference calls where I’m the only one speaking to a group of competing vendors, who stay quiet in a game of business poker. It’s feels uncomfortable to speak and share project information with no one else speaking at all. Did they hear me? Was I clear? Do they think I’m . . . . I just move forward and quiet the little voice in my head. I’m doing that now. This blog feels a little like those calls. I have cystic fibrosis. I’m in my late 40s, have a wife and daughter and I am the luckiest person alive. I have survived a genetic disease that was supposed to kill me years ago. My story is not unique. There are others just like me. However, for each of us who has survived cystic fibrosis, there are others who have died and made us (mainly me) look more heroic than we really are (than I really am). They are the heroes, the children lost to cf and the parents who witnessed their suffering. I don’t use the word hero by accident. Can you imagine being 10 years old and spending your short life running out of breath every day? That’s why I say I am the luckiest person alive – it’s by luck that I’m here – with a catch. Much of the luck happened to me; but some of it I made. 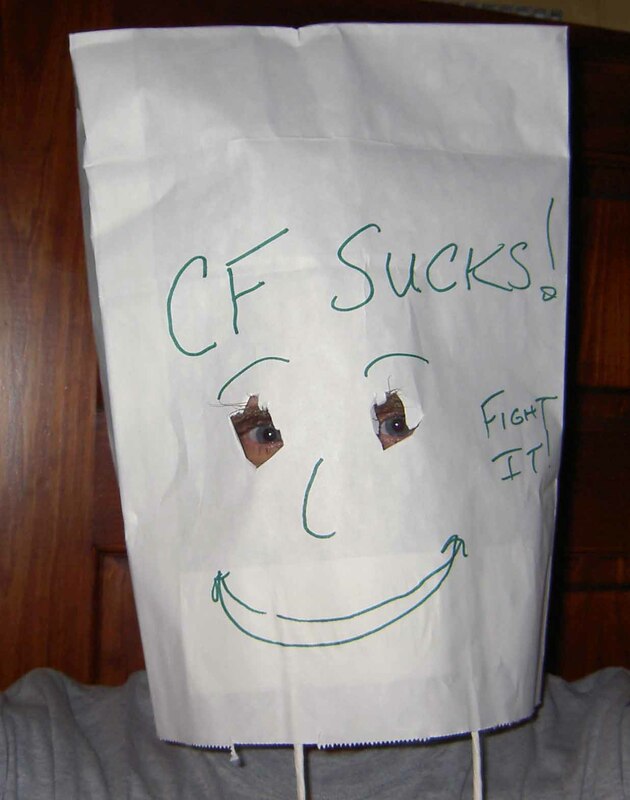 Share the daily challenges of having cf. Thank you for reading. I know you have other choices and ways to fill your time. 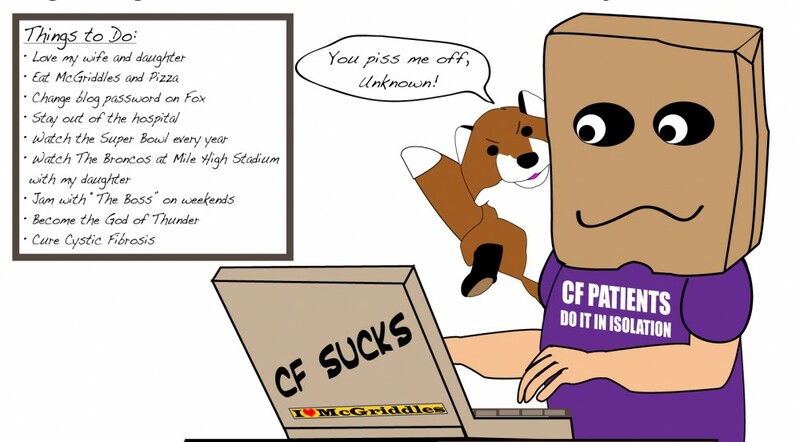 This entry was posted in craigslist, cystic fibrosis by unknowncystic. Bookmark the permalink. I’m glad I found your site, then, Mis-stepper! Myself being 31 with a wife and mortgage and looking at the “having kids” issue, we’re in this together, eh? Please let me know if I can offer any advice. We needed some help, but now have a wonderful daughter. Greatest thing to happen to us. I’ll take you up on that offer when we get some career choices straightened out. We still have a DNA test to get done before we decide on the method.